Enjoy making art with others in a spacious studio surrounded by nature. 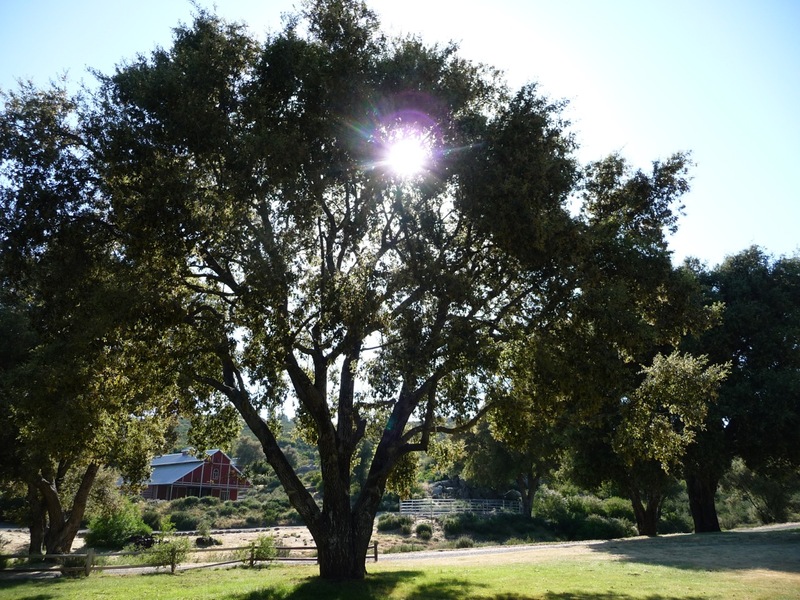 The J & J Ranch in Descanso is a 45-minute drive from downtown San Diego. Below Cuyamaca peak these forty acres border the Cleveland National Forest and are filled with oaks, manzanita and sage. It is a peaceful place to expand your creative horizons. Day-retreats offered in a variety of genres are designed for all artists from novices to seasoned. One-week advanced registration is required. A reminder, materials list and directions will be sent five days before the retreat. Bring walking shoes, layered clothing and a sack lunch. Gawdy means tawdry, flashy, garish or kitschy. In this workshop Jill will show you how use found objects to transform plain cigar boxes into outrageous, literally over the top works of art. These brilliantly showy pieces are easy to create and so much fun to make! Materials: Jill will provide the boxes and plenty of found objects to choose from. Feel free though to bring some of your own chipped china, beads and trinkets. Jill G. Hall’s artistic energy flows from many genres. 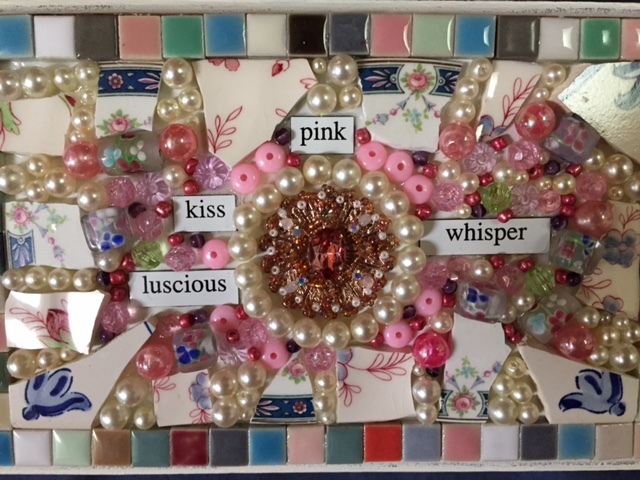 To fashion her whimsical mosaics she finds used treasures and brings them back to life. She also dabbles in painting, collage and mixed media to inform the poems and stories that she writes. She believes everyone has the potential to be an artist and enjoys helping others find their creative paths. Spend a Summer day writing with your hosts Judy Reeves and Jill G. Hall and in the company of other writers as you work on your own project in a quiet, private nook inside the ranch house, studio, or outside in any of the peaceful settings. Need inspiration or a little boost to get the pen moving? Just help yourself from the freshly stocked bowl of evocative prompts. This all-day retreat promises a set-aside time, an inspiring place, and a warm and welcoming community – something for writers of all levels of experience and all genres. Bring a friend and join us. Materials: Bring your notebook, laptop, a brown bag lunch, walking-shoes, sunscreen and hat. Must register by July 16th to make sure you have a spot! 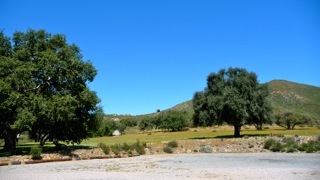 Directions and address for J & J Ranch given on week of event. Proceeds from this retreat will go toward the San Diego Writers, Ink Scholarship and Outreach program. Judy Reeves is a writer, teacher and writing practice provocateur who has published four books on writing. In her newest, Wild Women, Wild Voices, she invites, instructs, and celebrates the authentic expression — even the howl — of the wild in every woman. To register go to San Diego Writers, Ink. Just like handwriting, everyone has a unique drawing style, and Jane will help you discover and then record what you see onto paper. This workshop is geared toward beginners, but all levels are welcome. (Even if you haven’t drawn since 3rd grade, Jane can teach you!) Upon arrival, we’ll take a short walk around the property and gather treasures from nature. 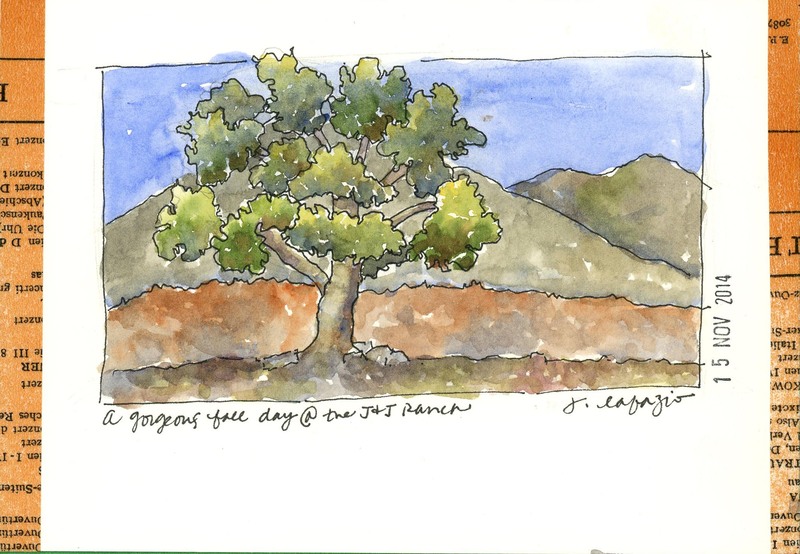 Then, back in the light-filled studio, Jane will show you how to draw, and paint with watercolor using a straightforward, intuitive approach. After lunch, we’ll go outside again, and she will demonstrate how to paint a small landscape capturing the scene quickly and simply. Materials: Bring a small travel size set of watercolors (PRANG children’s watercolors are surprising good), a pencil, kneaded eraser, Niji Waterbrush (medium size), and a Pitt Artist Pen (fine point, black). Plus, bring a sack lunch, sunhat and comfortable walking shoes. Jane will provide a small, accordian journal made of fine watercolor paper. Jane LaFazio, a full-time artist since 1998, truly believes she is living the life she was meant to live! In that time, she has cultivated a wide range of skills as a painter, mixed media, quilt artist, art teacher and blogger. She is known for her friendly encouraging teaching style, while working individually with students at their own level. Her venues include class, online and at art retreats internationally. Jane’s artwork has been featured in Cloth, Paper, Scissors and Quilting Arts magazines and books including Danny Gregory’s An Illustrated Life. Jane has made numerous appearances on Quilting Arts TV and is featured in instructional DVDs available on Amazon.